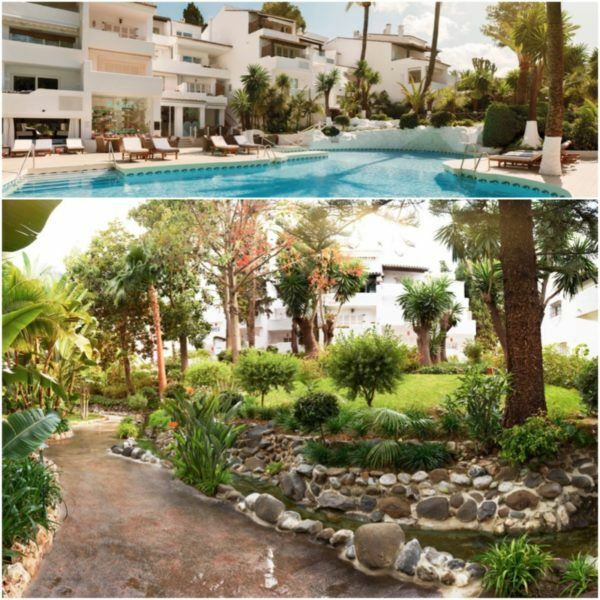 One of Southern Spain’s most iconic hotels, Puente Romano is located in Marbella and it is, without a doubt, one of its grand dames (alongside its sister Marbella Club). I had not been for years – and must confess it wasn’t a place that immediately came to mind, but A LOT has changed recently and we are very glad we went. 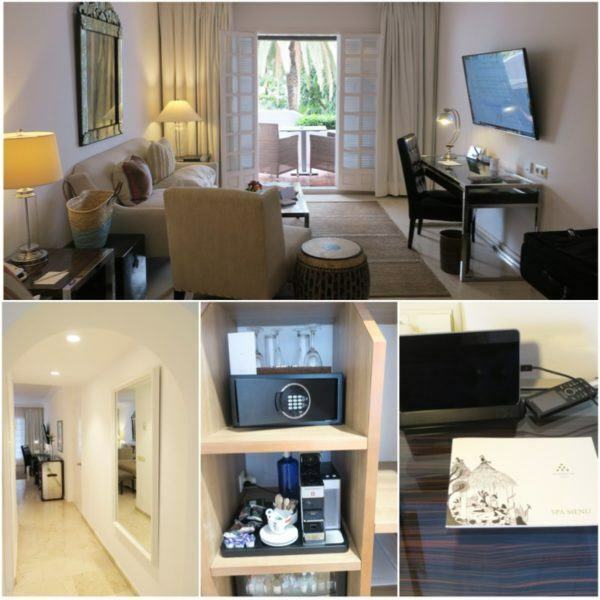 Here’s how my stay at Puente Romano Resort Beach Resort & Spa, a member of Luxury Hotels of the World, with Sovereign Luxury went. 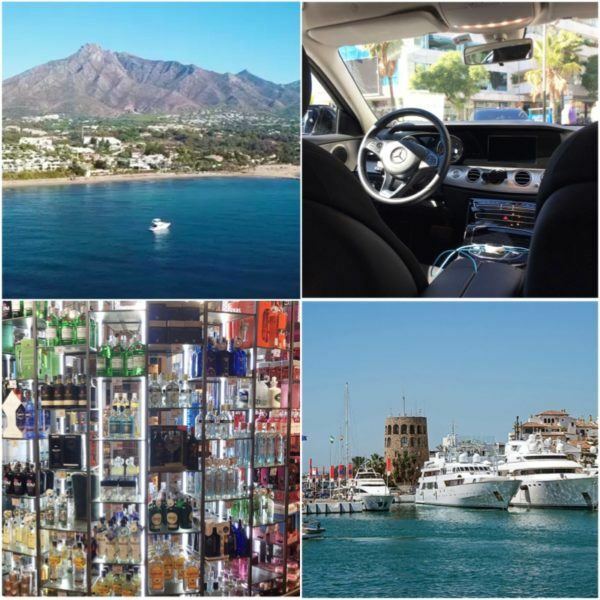 Puente Romano is located between Marbella and Puerto Banus and around 40 mins private transfer from Malaga Airport (AGP). We flew with British Airways from Gatwick and the flight time is around 2h30. Malaga is one of the best connected airports in Spain, so getting there really isn’t a problem. At Gatwick, and as usual (and standard to all Sovereign guests), we were able to fast track security and use the lounge – which we could anyway as we were flying business, but it means that anyone can, despite their airline of choice. Our driver had also been pre-booked and coordinated between Sovereign and the hotel and all went without a hitch. This is not a small resort – but after a day or so, it is easy to get one’s bearings. 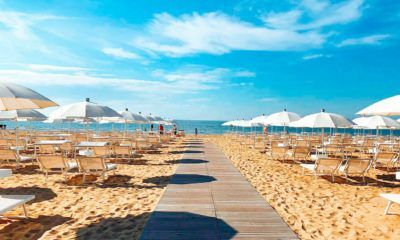 The resort is made up of the Hotel (which has 211 rooms, the smallest of which is a junior suite, which gives you an idea of dimension) and recently the grounds have welcomed another hotel: Nobu Marbella. 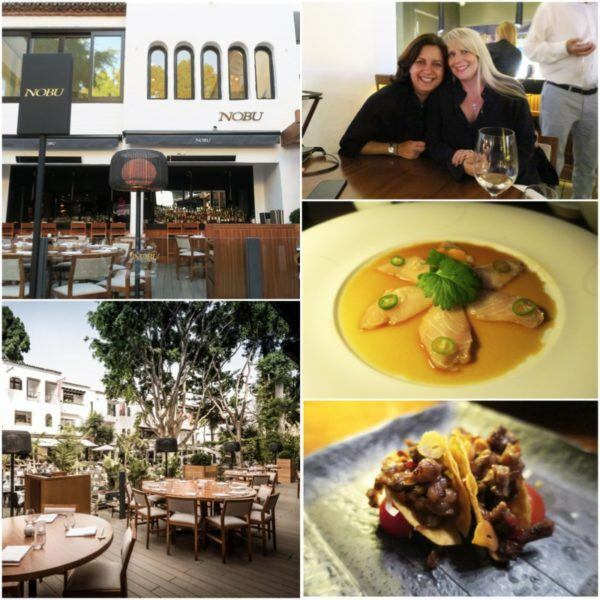 At the time of my visit, only Nobu (the restaurant) had opened, so I have not experienced the changes that have happened (although I have had feedback from friends and readers who have visited since). There are also villas and apartments on the resort grounds. Our check in was quick and efficient (and worth noting that for those who have visited the hotel, reception has moved location) and we were very grateful that our room was ready. We had one of those brutal 6am flights (which always seem a brilliant idea when you book) and getting settled was just we needed. The hotel is made up of various 2-floor buildings, which are named alphabetically and hidden by lush gardens. We were taken to our room by buggy – but we did not use the service again, as we thought the distances were perfectly walkable. 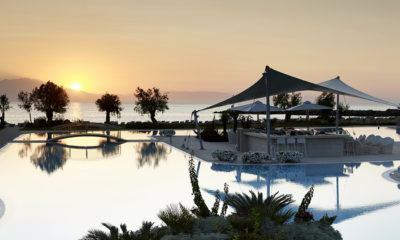 It is worth mentioning that the hotel does not feel huge – it is really secluded. 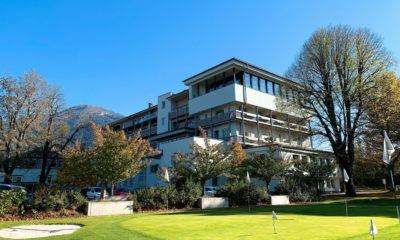 Our stay was organised at the very last-minute and the hotel was fully booked despite it being mid-October. Our room was a Junior Suite (which could make it one of the smallest) and has been refurbished – but a quick search online shows a variety of decors. We also had a balcony which overlooked the gardens (every room does). I still cannot make up my mind about the room decor – as it felt a bit mismatched, in my opinion. Other rooms have much neutral colour schemes, which would make it more my style. There were sockets on each side of the bed (yay! ), and the room felt really spacious. The air con has not been changed and we found it really loud, so we had to switch it off during the night. The room came with the usual safe, mini bar and coffee machine combo – but worth noting it was an Illy machine. We also had a phone and tablet to use during our stay, which was a nice touch. 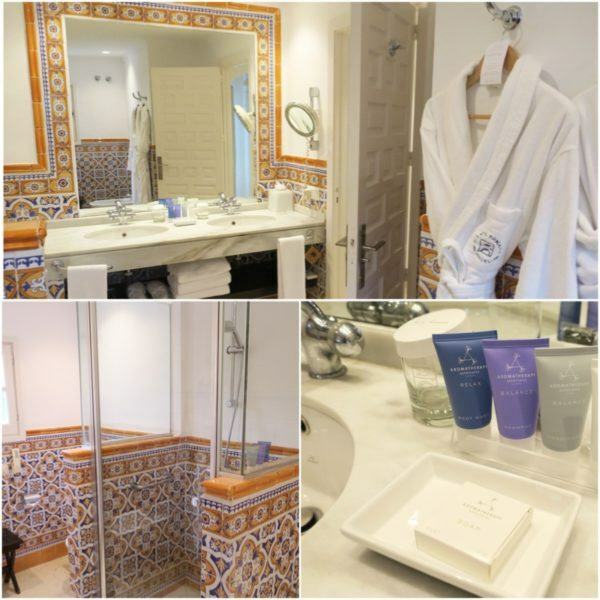 With regards to the bathroom – I have to say, I love the original Spanish tyles – I understand why the hotel wouldn’t want to get rid of them (but again, other rooms have all-white bathrooms). I 100% approved of the choice of the toiletries (file it under ‘worth bringing home‘), but I wished that the taps and the shower had been updated. They are Grohe, but they are 15+ years old – testament to quality, but if the hotel has been ‘refurbished’, this seems to have been overlooked. The hotel grounds are lovely – and this is the place to come for some peace and quiet. When we visited, the hotel was full and so were the pools. There was space for everyone, but I felt that sunloungers were too close to each other. We found the beach area quite lovely – but again quite small. We really liked the gardens which really made the hotel – you felt you were miles away from the world, but oh so close to everything. We ventured out the hotel a bit and you absolutely cannot beat the location. 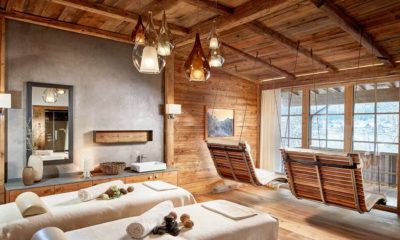 The hotel also has a Six Senses spa, but we did not have time to visit on this occasion. 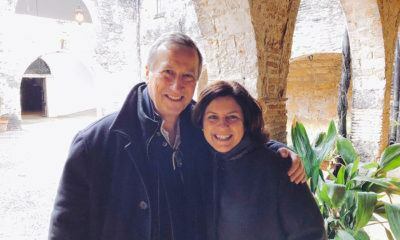 We LOVED LOVED LOVED the food and drink options at Puente Romano – I do not know where to begin. The hotel has more than a handful of restaurants – and the evening ones are located all at La Plaza, which is easily accessible to both hotel and non hotel guests. 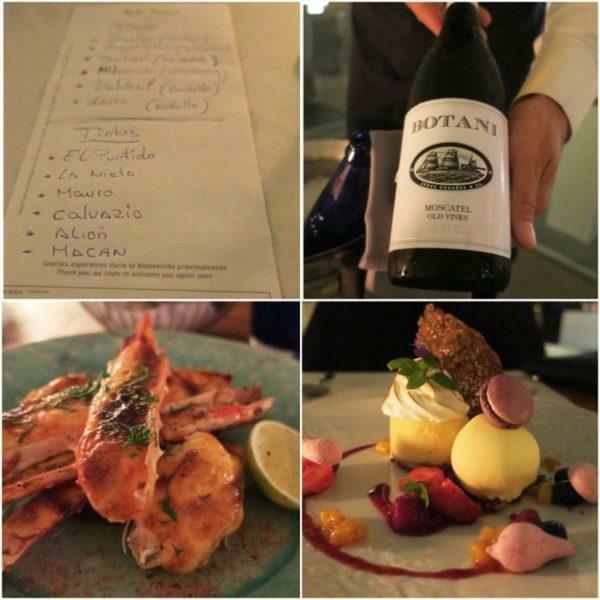 From traditional Spanish, to modern Japanese, Italian, Thai and even gluten-free – everyone should be pleased. We loved the bar area in the middle and how lively the whole place was. This location is the home of Dani Garcia, a fabulous Spanish chef who has its 2-Michelin star flagship at the hotel (Contradicion), but also a more casual bistro option. I had the pleasure of meeting Dani at the end of my stay and if you are on Instagram, he is a very interesting person to follow. The hotel has recently welcomed Nobu, which has opened its first Spanish restaurant here and we had a fabulous meal there. Dinner for 3 was €250. On other nights, we tried other restaurants, one being the Sea Grill, by the beach – we thought it was fantastic (and I wished I had gone for lunch as the seafood looked incredible). We had a wine pairing too, which was really interesting – most wines were from the region (which doesn’t exactly come to mind when one thinks about Spanish wines). Our sommelier was so good, he prepared us a list of new Spanish wines for us to try (and buy the following day to bring home). 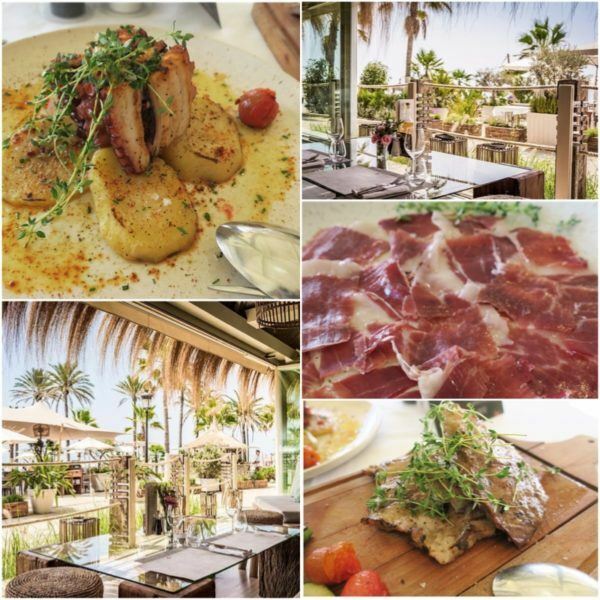 With regards to lunch, we tried El Chiringuito on the beach which was fabulous – and looked very very pleasing to the eye. 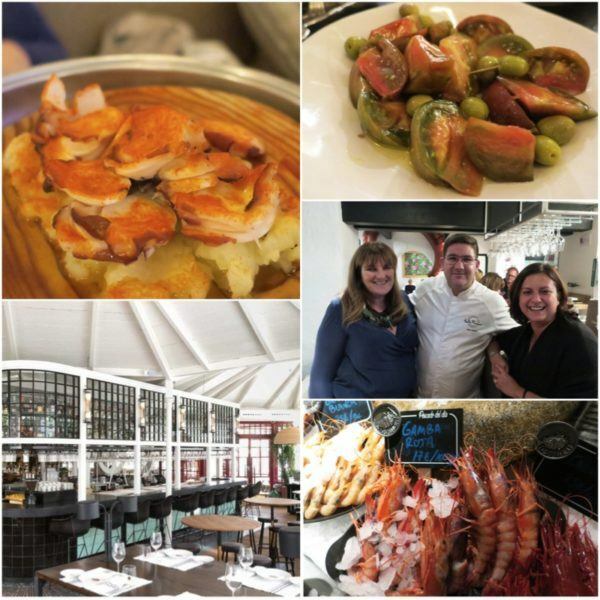 We felt we were in Spain from the moment we arrived – and the food was exceptional. Puente Romano is also home to Celicioso (a gluten-free restaurant) and Rachel’s (which is super healthy). We tried Rachel’s and in all honesty, it was way too healthy for me – all I kept thinking about were the prawns and the jamon iberico we should be having. The ginger shot woke me up, but I didn’t go all the way to Spain for a chicken and quinoa salad (but I am sure many will love the option). With regards to ‘adult beverages’, we enjoyed the Plaza bar and also the Owners Lounge, which when we opened was really quiet. Access rules have changed since I visited and it is for members only now. 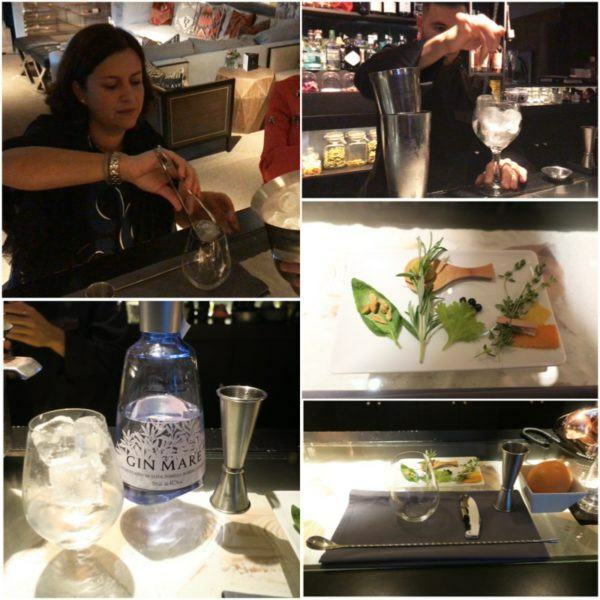 I had a fabulous Gin Mare gin tasting experience and we went back every night for more than a nightcap – the barmen were lovely and I may have had the best dirty martini ever. The olives were excellent. 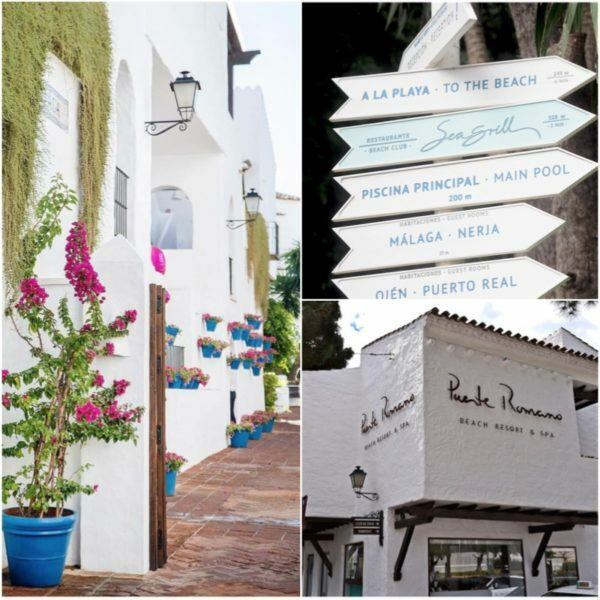 Puente Romano’s location is fabulous and only minutes to Puerto Banus. We had asked for a boat charter for a couple of hours and the hotel and Sovereign’s Adviser coordinated it for us. Sovereign no longer offers a local concierge (which I confess I used a LOT on previous trips, such as Halkidiki and Madeira, just to name a few). Instead, you are in touch with the same person throughout the journey – and you are matched to a destination expert. As I know the area quite, well, I declined any assistance except for the boat and the airport transfers which went very smoothly. 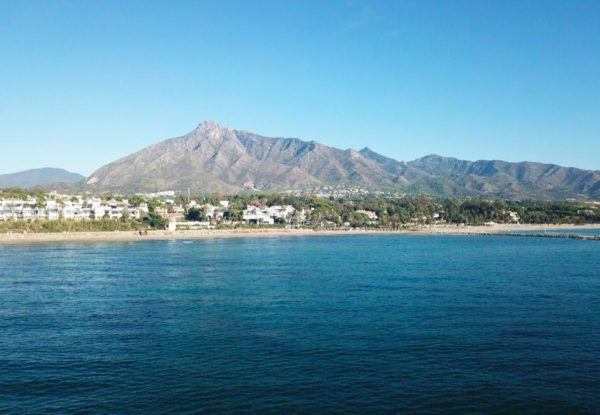 We asked our driver to give us a bit of time in Puerto Banus so we could go to El Corte Ingles for a bit of shopping and it all worked really well. 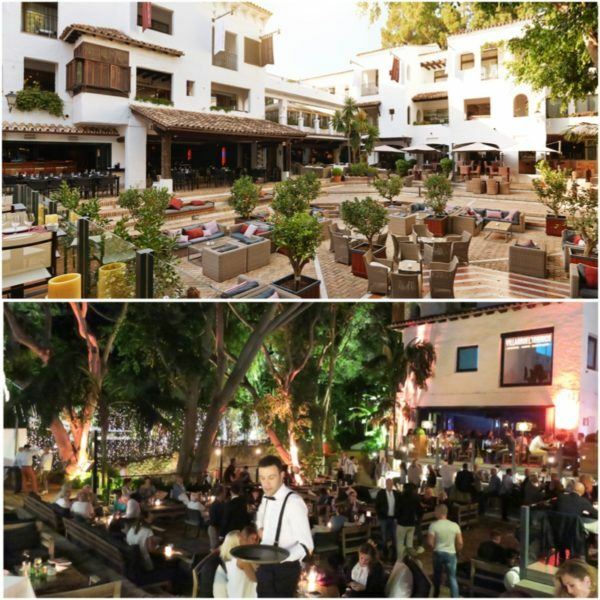 We also had time to see friends who live nearby and spend some time at Cabopino beach (where we had a lovely paella) and see other friends for dinner at Dani Garcia’s latest place – Lobito de Mar, which is located in Marbella (in the Golden Mile) and absolutely worth a visit. 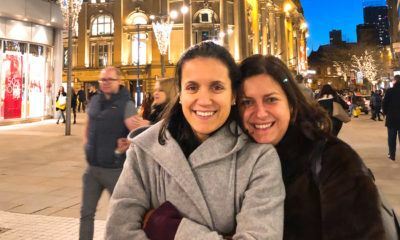 Turns out my friend Michelle knows Dani, so when we were back to the hotel, she introduced me to him and he was lovely. Dinner for 4 was 150 Euros. I thought breakfast was a bit too busy and loud – compared to all the other dining options, I felt it could to with a few tweaks. The room itself didn’t help (my apologies but it was so full, I couldn’t take a photo!) – the food was good, but the service wasn’t and it all felt a bit chaotic. It was really interesting to see how much Puente Romano had changed – it is not easy to reposition a hotel with so much history (and that many return to year after year). 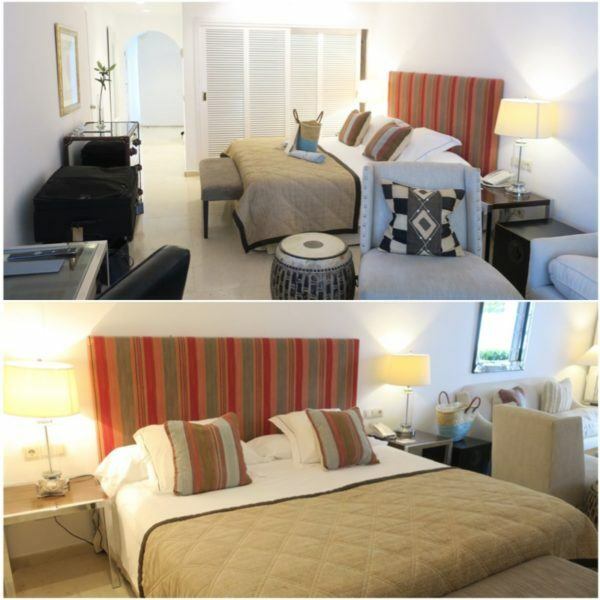 I thought the refurbishment needs to continue, so the same standard continues throughout. 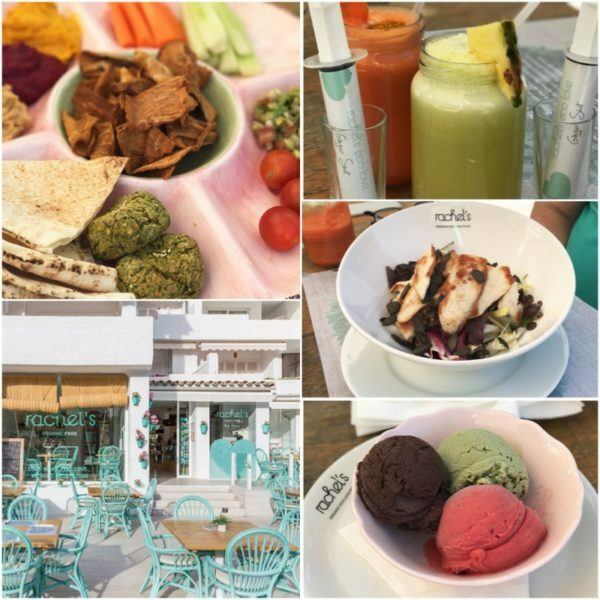 We LOVED the food & beverages options – and would recommend a visit to absolutely anyone visiting Marbella. I think this year will be very interesting – as more changes occur (and I am very curious to how the Nobu hotel part works with the rest of the hotel structure and facilities). Service was very friendly, which was quite refreshing and we did enjoy our stay. Puente Romano is a very good hotel – it has changed hands (within the same family) and you can see how all these brand associations are making it reposition itself (Chiringuito, Six Senses, Nobu). I think in a few years, all the growing pains will (hopefully) be gone. Disclaimer and Fact Box: I was a guest of Puente Romano on a bespoke trip organised by Sovereign Luxury Travel. No one has seen my review prior to me posting it – opinions are my own. Sovereign Luxury Travel (Tel +44(0)1293 832 459) has a seven night holiday to the five star Puente Romano on a bed and breakfast basis and includes fast track security and lounge access (in selected UK airports), private resort transfers and return flights from London Gatwick with British Airways for £1883 per person. Based on departures October 2018.